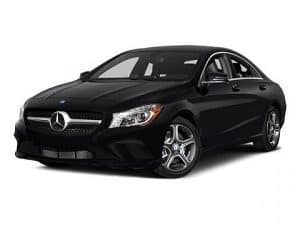 If you’re in the market for a new car but you want something that will retain its value better than most vehicles, a pre-owned or used Mercedes-Benz is your best option. However, it’s important to note that there are differences between the two classes of vehicle. In the jargon of the car salesman, a pre-owned car is not a used vehicle and a used vehicle is not a pre-owned car. At Mercedes-Benz Of San Antonio, TX, we know it’s important for people to understand what they’re getting and why. Here are the differences between a pre-owned vehicle and one that is classified as used. Used cars are less expensive than pre-owned vehicles. Because pre-owned vehicles must meet higher standards, including mileage and history checks, they tend to be a better value in the long run. You don’t have to worry about some problem being hidden. Because pre-owned vehicles also go through an extensive mechanical check, you don’t have to worry about making sure the vehicle is in good condition. These checks usually include engine, chassis, and drive train inspections, as well as road tests. That way, you can be sure you’re getting a vehicle that will be reliable in the future. Pre-owned vehicles can only be sold at dealerships where the same brand of vehicle is already stocked new. For example, while any type of used vehicle may be found at any dealership, pre-owned Mercedes-Benz can only be found at Mercedes-Benz dealerships. Depending on the age, a used vehicle may still have a valid original warranty. However, a pre-owned vehicle comes with an extended limited warranty beyond the regular manufacturer’s warranty. Some of these warranties will even come with roadside assistance for your vehicle during their validity period. People who usually carry roadside assistance as an add-on to their regular insurance, they may be able to save a few dollars every month. 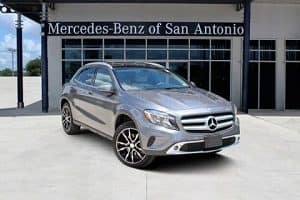 With a pre-owned Mercedes-Benz in San Antonio, TX, not only do you get the peace of mind knowing that you have a quality car, you also get the confidence that comes with driving a performance machine. The road can be a hazardous place, and a good vehicle can make all the difference between being involved in an accident and avoiding a collision. A vehicle that has a great reputation for safety and handling and that has been certified pre-owned, passing the requisite safety and mechanical inspections, makes the world of difference when you’re facing down the other drivers on the road. Mercedes-Benz vehicles are known for their value retention, so getting a great deal on a pre-owned vehicle is easy when you consider all factors.